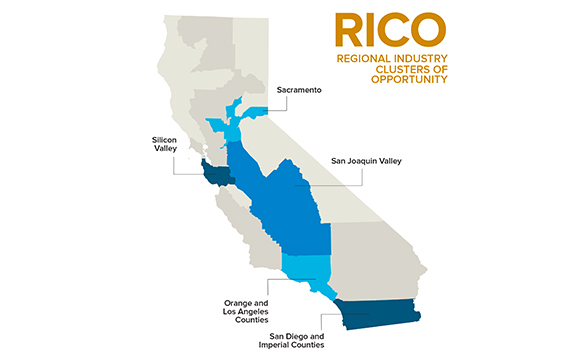 The Regional Industry Clusters of Opportunity (RICO) effort is the largest simultaneous mobilization of regional clusters in any state. Beginning in 2010, COECON has managed this effort and provided technical assistance to teams in regions spanning much of California. In 2013, COECON was tasked by RICO with identifying regional advanced transportation sectors primed for growth, and engaging regional partners (i.e. employers, educators, economic development officials, etc.) to develop and implement a plan to ensure workers are prepared for cluster opportunities and that the private sector has a supportive environment in which to grow. COECON provided state and regional economic diagnostic data (e.g. 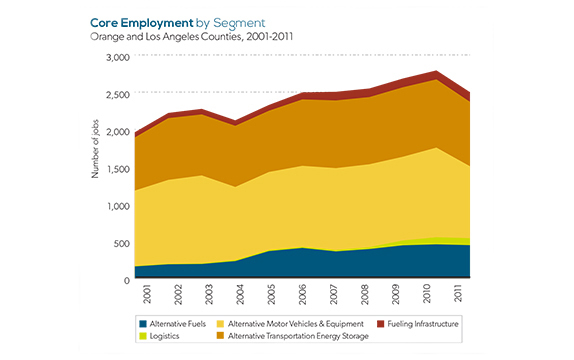 job and establishment data) related to advanced transportation as defined by AB 118. 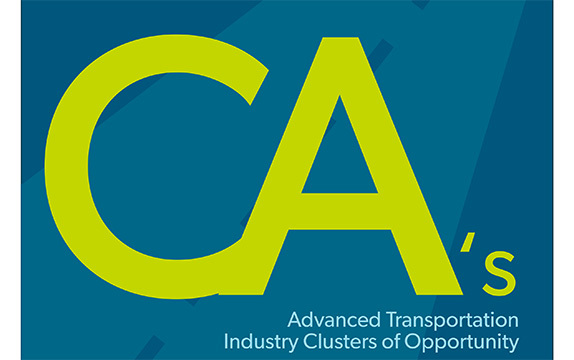 The diagnostic data was used to facilitate regional discussions on identifying industry clusters of opportunity and develop a statewide report on the current state of advanced transportation in California identifying changing trends, such as fast growing sectors, regions, or companies. COECON site managers work directly with their regions to provide customized technical assistance throughout the grant period - helping to establish deliverables, milestones, and a timeline, guiding them through their diagnostics and assisting with the identification of next steps for cluster engagement.